This post was written by one of our dedicated volunteers, Jerry Baffour! The Illinois MakerLab was able to participate in the Illinois Women's Basketball Team’s Field Trip Day! Each year, the Illinois Women's Basketball Team hosts a morning home game as their season opener, and invite elementary school students from the community to attend during their regular school day. We were fortunate to have a booth this year to give the young minds of tomorrow a look at the potentials of 3D printing. We had over 100 schoolchildren who were enthusiastic discovering our past prints, and surprised with the capabilities of an Ultimaker printer. We are hoping see some of those kids in the future to celebrate their birthday parties. We are also hopeful that we sparked their minds on the maker community here in Illinois! Stay tuned for MakerLab updates by subscribing to our newsletter, liking us on Facebook, or following us on Snapchat(uimakerlab), Twitter or Instagram. Have an event you want to host at the MakerLab? Contact us and we will help you get started! This collection of posts refers to the Digital Making Class offered here at Illinois. Each week students are required to write down what they have learned through the week. Here are some of the students final reflections regarding their project and the class as a whole. At the end of this project, our team came away with three main conclusions from the experience. First, it was incredibly satisfying to see our weeks of efforts and labor culminate in a working and usable model. One of our team members who previously was unfamiliar with how to tie a tie was able to learn how, with the guidance of our product. After seeing it be put to use, we can say with complete certainty that our efforts proved worth it. Second, we learned that rapid prototyping is critical to the making process, and to creating an effective final product. We spent the majority of our initial efforts attempting to make the perfect first prototype, when in reality the majority of our progress came upon the third and fourth iterations. Third, our team realized the immense importance of receiving user feedback. While we had certain connotations of the direction we wanted to pursue with our product, obtaining feedback from users that were unfamiliar with the making process gave us great insight as to what the average user would actually prefer. This dehydration band could measure the hydration level of the users and flash lights to remind users to drink water. The band consisted of two parts, the frame and the Arduino controller. 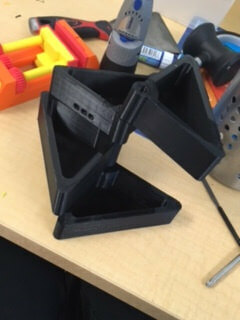 We used the 3D printer with the semi-flex material to make the frame. To minimize the size, we made the humidity sensor by ourselves and integrated the sensor with the Arduino controller. I can’t say that I will use 3D printer a lot or I will be a designer in the future, but the experience of learning all the knowledge helps me to realize that I could do much more than I expected from myself. The idea of design with empathy will be useful to me no matter what kind of job I will do. By sharing the different skill-set, we as a team turned in a wearable that I could never make by myself alone. I feel so lucky that I got chosen to take this course at the end of last semester. When I first was able to take the Digital Making course, I was excited at the prospect of being able to work with 3D printers for the first time and perhaps learn some new types of software. 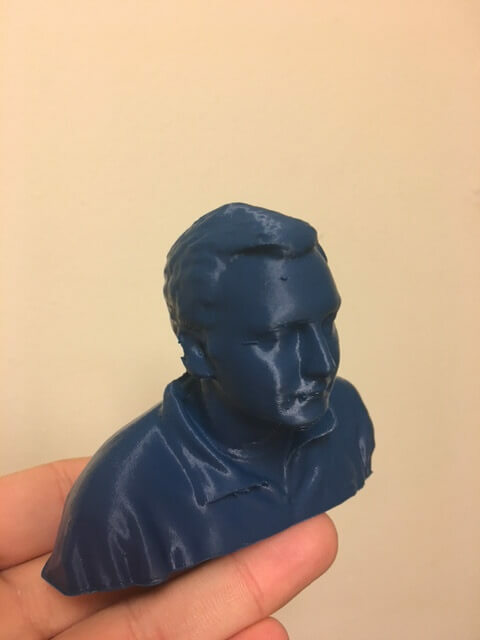 While I certainly did the above, the first hand experience of creating a 3D printed product solution with help from multiple campus resources showed me the vast capabilities 3D printing as well as other digital technologies can have. As a Recreation, Sport, & Tourism grad student taking this course, I am interested to see how the capabilities of 3D printing can impact entire industries as well as daily life with the maker movement . Watch the video below to see more of the amazing things that the Digital Making students did this semester! 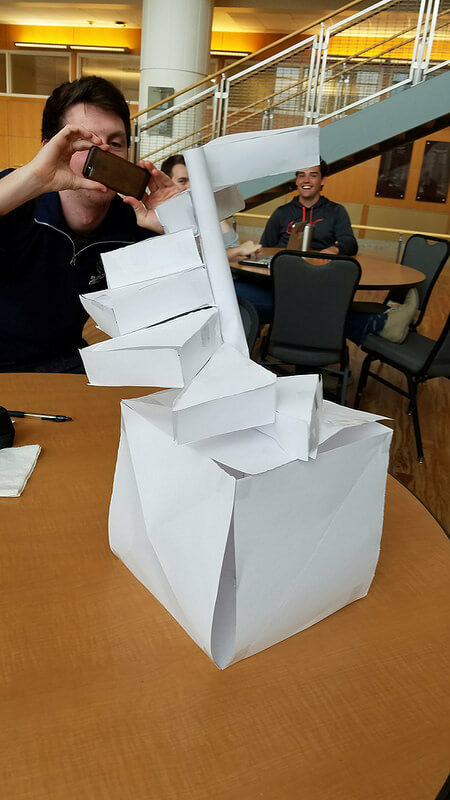 Guest Post: ChaseThis collection of posts refers to the Digital Making Class offered here at Illinois. Each week students are required to write down what they have learned through the week. Below is a summary for week 6 written by Chase. This week we engaged in the second phase of a continuous three-part series meant to offer exposure to the myriad of activities offered at the Champaign-Urbana Community Fab Lab. The Fab Lab is a leading-edge open and collaborative work-space for design, creation, and printing through the use of computer-driven technologies, such as 3D printing, lasering, inkscape, and soldering. Since the making space offers such a vast array of opportunities to its various users, the class was divided into three separate groups during our first session, with each group rotating between the three main functions of the lab: laser cutting, soldering, and coding. The first station was laser cutting. The objective of this part was to assemble the wood cube that would house the photo dependent LED light resistor. The software used to create the designs on the sides of the cubes was Inkscape, a completely free, open-source platform that appears to be user-friendly yet still able to make complex designs. 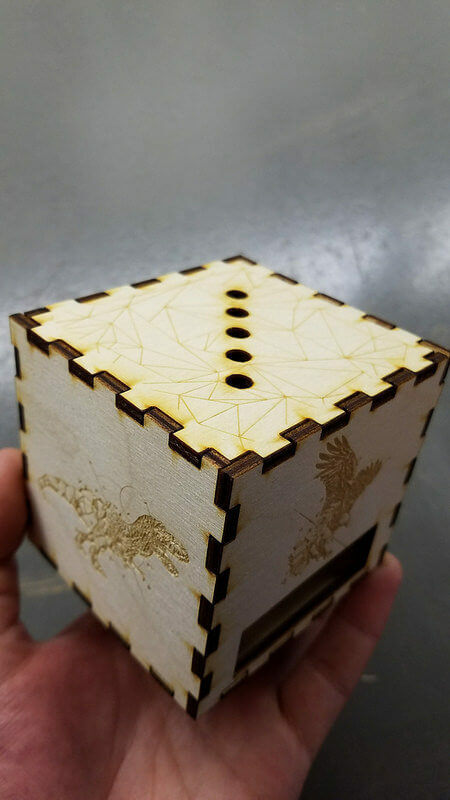 The laser uses subractive manufacturing to etch the designs into the wood which created the images, while also making the actual cuts to create the box. The second station was soldering. Soldering allows for more accurate and uncluttered connections between various electronic parts, such as wires, resistors, and other components. An additional benefit of soldering is the ability to maintain the original shape of the soldered metals, considering that the solder has a much lower melting point than the adjoining metal. Since the fusing occurs at much lower temperatures, the metals that are being connected do not warp in shape or size, nor do they melt. Lastly, soldering allows for the joining of multiple wires using a single focal point. This can allow electricity to be conducted, as all the wires have been bonded together. The third portion involved using Arduino’s open sourced software. Arduino’s simple platform allows for makers with only basic coding experience to still utilize the immense functionality of the technology. The object that was being encoded today was a photo resistor (light dependent resistor) with LEDs. 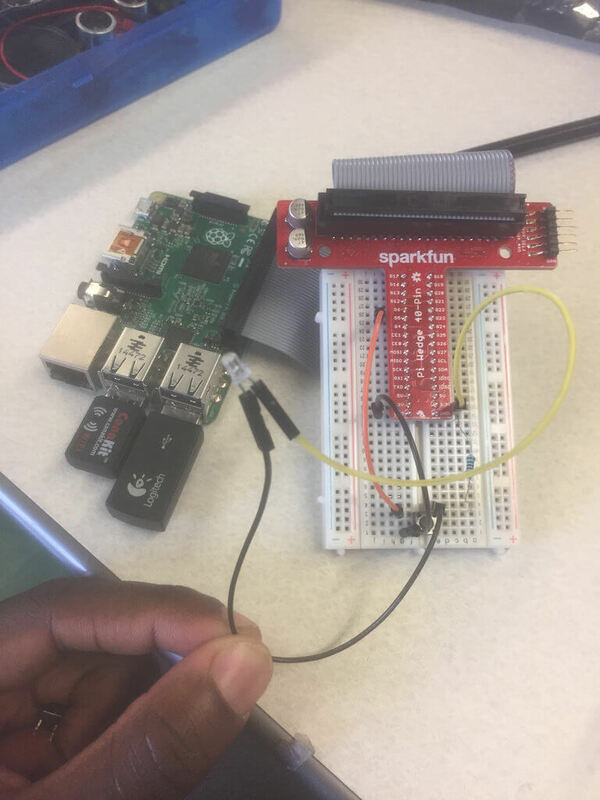 By connecting the LED lights to the light resistor and being guided through some of the basics of the Arduino code, the LED lights extinguished in the presence of light and flashed during times where there was no light (when it was covered by a hand, for example). Guest Post: John BurkeThis collection of posts refers to the Digital Making Class offered here at Illinois. Each week students are required to write down what they have learned through the week. Below is a summary for week 10 written by John Burke. This was an awesome week in the Makerlab, as we had the privilege of getting a tutorial in 3D scanning by a former student of this class, Arielle Rausin. For those of you who aren’t familiar with 3D scanning, it is essentially technology that takes a picture of an object, and then scans it with lasers. It then records how the laser reflects off the object, and uses that data to create a file that could be used by a 3D printer to create that object. One type of software used by 3D scanners is called Meshmixer, and is created by Autodesk. This is the kind of software used by Arielle when she came in to 3D print wheelchair racing gloves. The best part of the lesson came when we had the chance to 3D print ourselves. While Arielle made things look easy, it was much harder for us beginners to get a good scan. There were many obstacles that we did not see coming that prevented us from getting good scans at first. For example, two guys in our group had very dark hair, so we had to hold up a phone flashlight by their heads in order to get good results from the scanner. This is just one example of how this class has taught us how to think outside the box and fix problems in sometimes unorthodox ways. Once everyone had a chance to scan themselves, we were able to break off into groups and continue working on our semester projects. It was really cool to see how much progress all the teams have made over the past couple weeks, and there have been some awesome ideas for projects so far. I’ve put a couple examples down below so you can see what people have been working on. The picture on the far left is a security monitor that can send text messages to your phone. The middle picture is of a prototype for the top of our aquaponics system. There will be plants growing inside of these containers that receive water from the fish tank below. The plants will receive nutrients from the fish waste and in turn will filter the water and keep the aquarium clean, its a really cool self-sustaining system! The picture on the right is a camera the can connect to a computer so that the viewer can see the images on the monitor. Overall, we learned about not only how to use 3D scanners, but also various reasons why 3D scanners come in handy. On top of that, we learned how to solve problems on the fly. For instance, thinking of a way to fix the fact that the scanner wasn’t picking up black hair showed how this class has influenced us to solve problems creatively. Also, all of the groups gained much needed prototyping experience that will hopefully help us for years to come. After all, no matter what field you go into problem solving is a huge asset and an effective method to solving problems is starting with a basic solution and then improving on it until you come up with something that works perfectly. 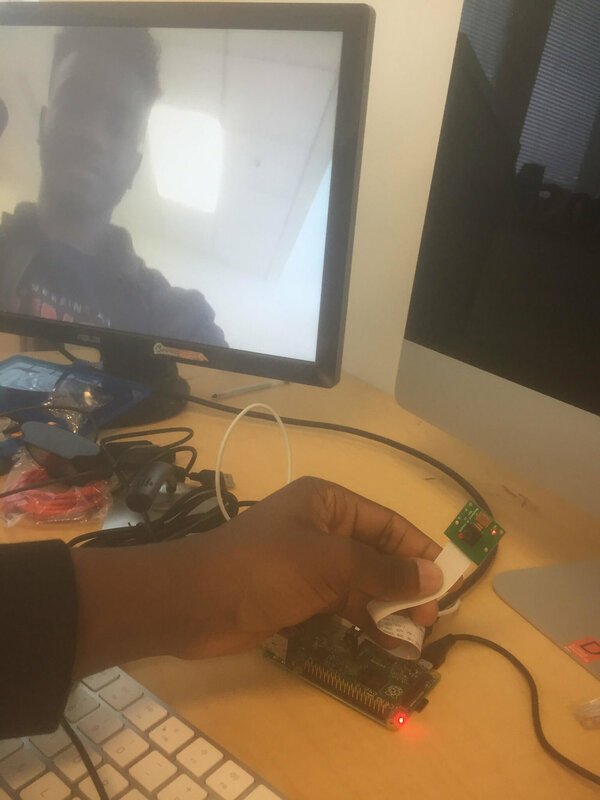 This is the idea behind prototyping and I know the skills I have learned in this class will help all of us, no matter what we do in life after college. 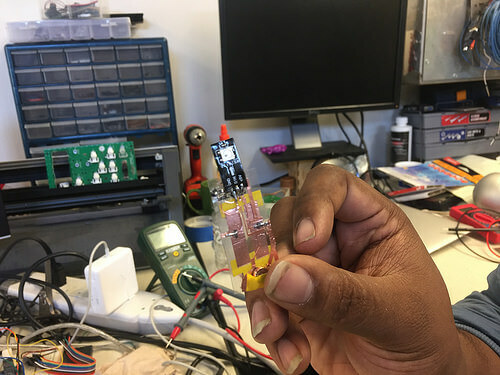 Guest Post by: Carter CarrollThis collection of posts refers to the Digital Making Class offered here at Illinois. Each week students are required to write down what they have learned through the week. Below is a summary for week 9 written by Carter Carroll. 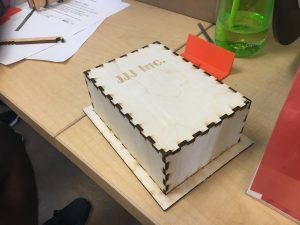 With our class moving along with our team projects, week 9 was predominantly focused on moving forward with designing and creating prototypes of our products. 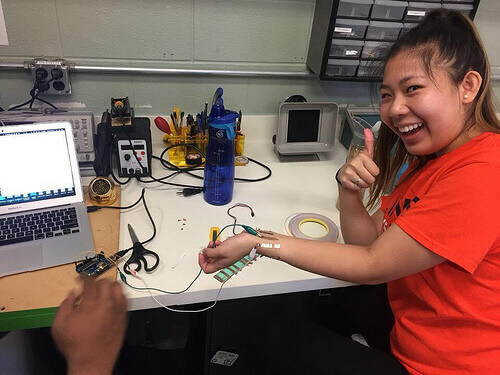 Throughout the semester we have obtained a wide variety of learning experiences such as how to use 3D printing software such as TinkerCad/Fusion 360, how to program arduinos processing chips, and using the build capabilities at the campus Fab Lab. Having had weeks to begin to learn how use these tools allowed teams to think of ways to create and improve their product design. In class, teams sketched out their first prototype designs of their product. After knowing what functionality we needed out of our products, we than made a materials list of all the components that would be necessary to obtain to make the product work. Each teams product covers a different area of 3D printing. Some products need arduinos, sensors, and have to be programmed through breadboards, while others could simply be 3D printed objects to solve a certain need. Each team is now in the works to create their first fully functioning version of the products. 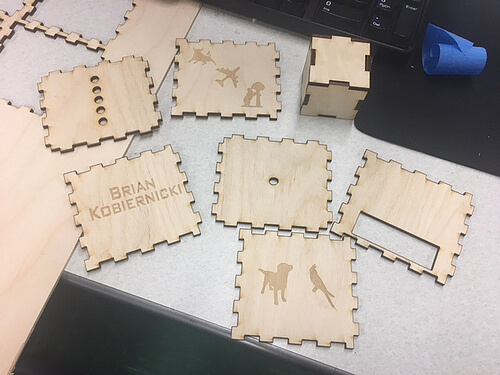 The class is very excited to start to create tangible versions of our prototypes through collaboration with 3D printers, the Fab Lab, and many other campus resources. Overall, this week had a significant theme of the importance of the design of the product to fulfill a need. As one of the TED talks we listened to in class stated, “Design is best as an iterative process, the earlier you invite feedback, the more chances you have to revise and improve” (David Kelley Ideo). The design and creation of the prototype is the first step of many on the path to creating a successful product that end users will value. For many teams, creating the first prototype was challenging in not knowing exactly what the product looks like or in some cases even works. Ultimately, as Mr. David Kelley of Ideo highlights, the prototype is not meant to be perfect. In fact, the prototype is simply the first step in allowing our products more chances to be improved through feedback, trial and error. Week 9 was significant for teams to begin development on creating, designing, and moving forward with creating a useful product that fulfills a need. It will be exciting to see how the prototypes are developed, and refined in this last month of the semester! Are you an undergraduate at Illinois and need a class for Spring 2018? Take Digital Making! Apply now by emailing your resume to vishal@illinois.edu, with a short note explaining your interest in the course and any skills/passions in making that you bring to the course. Application will be open until November 15th. And don't forget to stay tuned to MakerLab updates by liking us on Facebook, or following us on Twitter or Instagram.